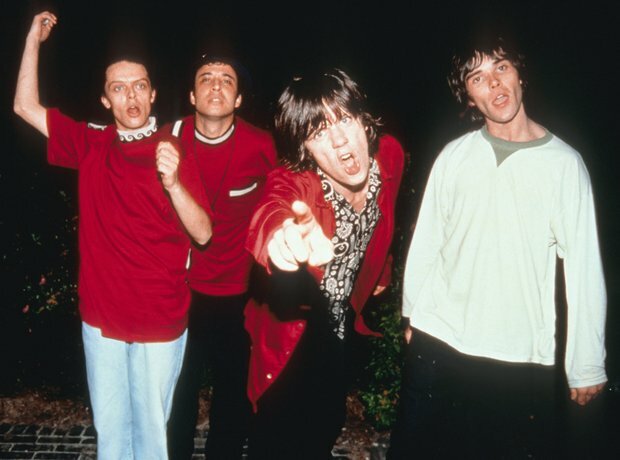 Celebrate Ian Brown's birthday with the very best lyrics from the band that inspired a generation. "I’m no clown i won’t back down / I don’t need you to tell me what’s going down." "Sometimes I fantasise / When the streets are cold and lonely / And the cars they burn below me." "She'll carry on through it all / She's a waterfall." "Join my tears / Allay my fears / Sent to me from heaven / Sally cinnamon / You are my world." "Dream until the sun goes down / And night turns into day / Rooms are empty, I've got plenty / You can move in right away." "Don’t waste your words i don’t need anything from you / I don’t care where you’ve been or what you plan to do." "Stop the world, I’m getting off." "All thoughts of sleep desert me / There is no time / Thirty minutes brings me round to her number nine." "I’d like to leave the country / For a month of sundays / Burn the town where i was born." "The past was yours but the future's mine"
"I don't have to sell my soul / He's already in me."